Is your bedroom at the bottom of your remodeling checklist? Is it sporting a mixed bag of hand-me-downs and dated furniture? Bedrooms are meant to be peaceful and serene, an everyday getaway. Instead, many of us treat our master bedrooms as pseudo offices, laundry rooms, home gyms, and catch-all spaces. Retreating to a room that’s a design afterthought and filled with clutter hardly sounds like any way to relax! Want to bring your dated bedroom into the future? Read our favorite bedroom style tips and trends below! Some of the biggest elements that date any room are the major finishes, from the ceiling to the floor. Pull up that worn out, tired carpeting and replace it with wood flooring – there are so many affordable options out there now! Scrape away that popcorn ceiling and add a fresh coat of paint. Refinish the wall color, particularly if you’re only tolerating something a previous owner picked out. Another notable way to modernize your bedroom is to give it more of a suite layout. If you have the budget and room, adding a master bathroom and a walk-in closet is a great investment. More and more, full master suites have become the new standard for potential home buyers. Plus, you’ll get to enjoy the expanded space! If that’s not an option for you, try breaking your room into specific areas. You might add a mini parlor for reading or working from home, or perhaps more open (and organized) storage to display your belongings and help you dress with ease each day! The quickest way to make any space feel current? Adding touches of trends. First of all, we want to urge you to proceed with caution. Research which trends you like, and steer yourself towards more timeless styles. The last thing you need is a room filled with outdated items mixed with cutting edge pieces. Aim for a healthy balance, and go with trends that suit your taste! 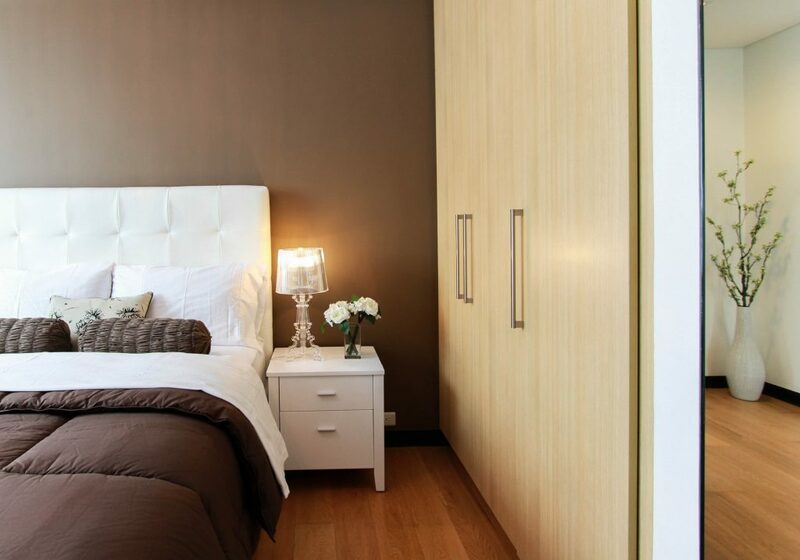 Lastly, a quick and easy way to give your bedroom a makeover is by replacing dated fixtures. From window coverings to ceiling fans to lighting, all of these small design details give your space personality. Start slowly replacing fixtures with newer models. You may be surprised at how fresh your room starts to feel after these simple swaps!